We have good laws, but unfortunately there is no practical and proper enforcement of them. This observation is expressed in meetings and different roundtables by Albanians and foreigners as well, when discussing about different problems encountered in our country in various sectors of development. One of the areas that have good legislation, but no proper enforcement, is the environment. This fact was also underlined in EU progress – report, 2014, which contains a separate chapter where serious environmental problems and the climate shift were given a significant emphasis. According to international experts, there is a lot of work to be done for the harmonization of horizontal legislation, especially in the framework of the Directive on the Environmental Impact Assessment and the Directive on the Environmental Crimes. A more effective system regarding prosecution and penalization of environmental crimes should be in place. “Assessment of environmental impact is not always performed prior to the start-up of infrastructural projects”, the progress-report reads, while the same concern was confirmed by Mr. Xhemal Mato, a representative of civil society for environmental issues. He went even further, accusing of bribery all the individuals who prepare the assessment reports concerning the environmental impact due to infrastructural projects. “Environmental assessment is one of the issues causing harm to environment. I want to highlight that lack of opponents is also of concern; I could really say that there is corruption in the environmental assessment reports that are made by anonymous persons who are in fact destroying the environment”. Environmental experts introduced the idea that it is time to have accredited studios in place to make the measurements, so that there are no fictitious results in favour of the companies that pay for those results. Environmental assessment is not the only issue of concern found in the environmental area. Monitoring of the business operating in the country is another concern, not only to environmental experts, but also to government authorities. “Regarding industrial pollution and management of its risk, the law transposing the European directive on controlling the risk of major industrial accidents (“Seveso II” Directive) has not yet been approved. There are no effective controls to diminish the emission of pollutants created by industrial plants. Self-monitoring of industry is rarely supervised. A framework draft law on management of chemical, which aims harmonization with the EU aquis and regulation of import & export ratio for chemicals”, the progress report reads and it is also admitted by both, the environmental experts and the governmental authorities that monitor the environmental situation. Monitoring is the biggest issue of the environmental situation. Similar to what international experts highlight in the progress-report is the observation made by Mr. Mihallaq Qirjo, Director of REC for Albania, who adds that there is lack of reliable data about businesses that operate in Albania and the harm that they cause to environment. "Controlling and monitoring are deficiencies found in this system. Furthermore, I could even say that there is corruption within the monitoring system. Another problem is lack of understanding of the role of actors other than governmental authorities" says Mr.Qirjo. While with regard to the problems in the monitoring of these companies on the ground, Arben Luzati, expert of the Public Health Institute says that "lack of budget leads to lack of monitoring" Moreover, the environmental control specialists, those of the State Inspectorate in the Ministry of Environment and even those in the regional agencies introduce the idea of self-monitoring by companies. According to them, a company that provides unreliable results, which are verified by measurements conducted by inspectorate, should be fined, not only for the time when found in violation, but for all the years of its operation in our country. A similar example, according to experts, is found in the Scandinavian countries, particularly in Sweden. Empowering of self-monitoring and production of qualified inspectors would lead to improved environmental control and enforcement of environmental measures that would avoid devastation of environment. Significant budget and institutional interaction will lead to a more controlled environment. This observation comes from environmental experts in governmental institutions. 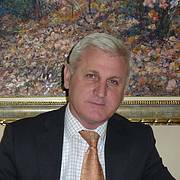 Enis Tela, an expert with a 12 year-long experience in the Ministry of Environment, but also part of the working group that engaged in preparation of environmental legislation said that lack of a supplement fund allocated in the environmental budget leads to consequences, because it is often impossible to conduct monitoring or measurement, despite the obvious problems found with different companies. "It is important to allocate a supplement fund to environment, as environmental funds should be increased to cope with the numerous problems that we are facing now," said Mr. Tela. He added that despite the numerous problems found with a big company that operates in Fier, they are financially unable to perform the measurements and are forcing the company to perform them via a private fund. "Cooperation with NGOs should be strengthened" is another recommendation that the EU gives in the progress-report and it is also admitted by the environmental experts in governmental institutions. Lack of funds, personnel and infrastructure lead to inability in covering the entire country with environmental inspectors. A stronger cooperation between governmental bodies and civil society would lead to identification of a number of problems that environmental inspectors have failed to notice and would lead to their resolution. “The environmental inspection system is partially harmonized with the European acquis; its scarce resources do not provide sufficient guarantee that violations are properly monitored and punished. Scheduling of inspections, cooperation among environmental inspectors and other supervising governmental bodies, reporting procedures and Inspectorate performance assessment mechanism should significantly improve”, is said about environment in the Progress-Report, 2014, adding that cooperation of all the law enforcement actors in our country would result in decreased problems. Pëllumb Abeshi: Law enforcement, cooperation between central and local government institutions is necessary. Air quality improvement, waste and water management, enforcement of the legislation and of the EU directives are considered priorities for the Ministry of the Environment in the coming years. But, to enable law enforcement, according to Mr. Abeshi, General Director in the Ministry of the Environment, there should be a close cooperation between central and local government institutions. Furthermore, Mr. Abeshi accuses the latter for negligence in enforcement of laws, especially the ones regarding urban waste. What are the measures taken by the Ministry of Environment to improve air quality? Regarding the recommendations of the EU in the field of air, we would like to inform you that: National Strategy "On the quality of the environmental air in Albania" is a document that is already approved with DCM No. 594, dated 09.10.2014. It defines a set of measures to be taken for the improvement of air quality based on the problems observed and monitored in years. In this regard, this document addresses and programmes measures and targets to be met over the years and that are mainly related to the transport sector and industry as two sectors that mostly pollute urban air. The law "On protection of environmental air quality" was adopted by the Council of Ministers with Decision No.316, dated 05/28/201, and is sent for discussion in the Parlamentarian Commissions. Soon, it will be adopted and a series of bylaws are drafted for its implementation, such as DCM "On the assessment of environmental air quality and requirements relating to certain pollutants", which was drafted for the implementation of the draft law on air. This act will pass for review and approval to the Council of Ministers, once the law will be approved and enter into force. Regarding the competence of the NEA and PHI, we can say that there is no fragmentation, but it should be understood that there is no monopoly on issues of air quality monitoring. Thus NEA has at its disposal some air quality monitoring stations, which are placed at certain locations in some cities. It monitors and reports this information through annual reports. Also, the Institute of Public Health has under its administration several monitoring stations of urban air quality in some other locations that are part of the national air quality monitoring system. Report on air quality is one and the only and is based on the results of all monitoring stations managed by these institutions. Regarding air quality plans at local level, the new air law establishes their design by local government units. During 2015, the National Action Plan on Air Quality will be drafted and local bodies will be directed on its basis for the development of local air quality plans. Meanwhile, the Municipality of Tirana has drafted an air quality plan, assisted by the World Health Organization and is applying it. Has the waste management policy planning started? What is being done to manage waste on a national scale? To carry out its duties and responsibilities prescribed by the Council of Ministers, the Ministry of Environment has the following areas of activity with regard to waste: 1. To develop and propose improvement and harmonization of legislation with EU directives; 2. To develop strategies, and 3. Action plans for Environmental protection and management. 1. 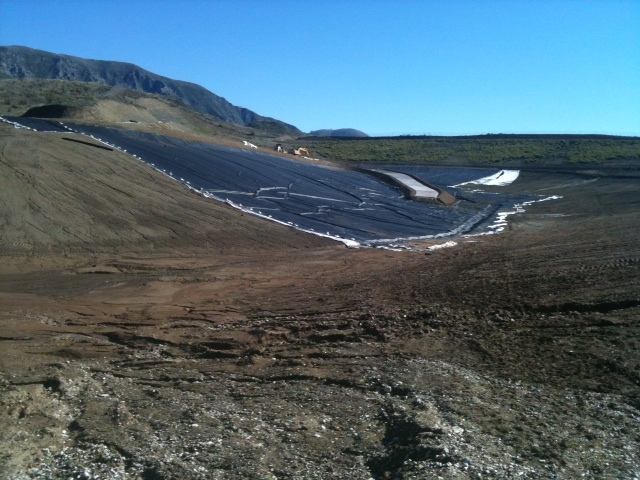 Construction of the waste treatment landfill in Durrës District. 2. Establishment of a system for transforming waste into packaging material and commitment of producers to promotion of waste collection and recycling system. 3. The management of seaport oil waste and hydrocarbons. 4. 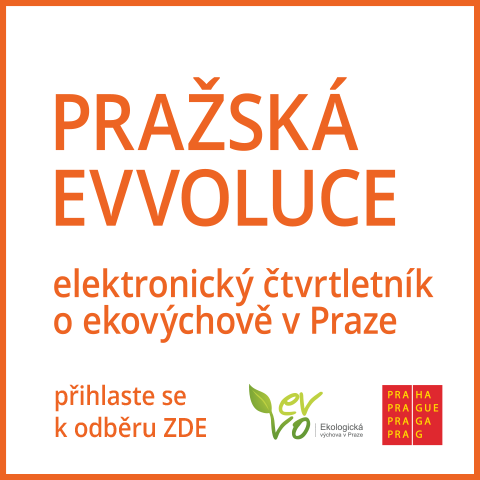 Establishment of a system for the management of electrical and electronic waste. 5. Construction of a waste treatment incinerator in Elbasan District. Another mechanism for meeting national objectives is international cooperation. Regarding the area of waste, several projects funded by international donors are being implemented, as follows: 1. "Support to waste minimization and promotion of 3R in the Republic of Albania", a project funded by the Japanese Government, JICA, which will include three local units: Tirana, Lezha and the Municipality of Bushat. 2. Feasibility study for the construction of the landfill in the District of Vlora, financed by KfW. 3. The construction of the landfill is being completed for the Southwest Area (from Himara to Konispol), funded by the World Bank. 4. Construction of landfill for Korça Region, financed by KfW, will soon begin. In addition to policies, programs and strategies, waste management requires a greater commitment of local leaders in the field to manage waste according to national standards. What is noticed in this situation indicates that many local units are negligent and do not meet the legal requirements for waste management. Law no. 8652 "On the organization and functioning of local government ', stipulates that waste management is a function of the municipality and the commune (Article 10) and that since 1 January 2001 they were responsible for integrated waste management. * Lack of vision by local government for an integrated waste management. * The principle "polluter pays" is not applied. Low rates respond to the implementation of norms and standards adopted by laws and regulations. There are still local units where waste management fee ranges from 300 - 1000 ALL / family per year. Even this fee is not collected to the appropriate level (30-70%). Recycling is the primary means of maintaining the value of material resources at the end of life. The Albanian recycling industry is still in its infancy and needs incentives to activate it and make it an effective industrial sector. * Implementation of waste collection system with three baskets (preferably within 2016). * Segregation of waste at source for glass, paper, plastics and metals until 2018. * Recycling 25% of waste by 2015. * Recycling 55% of waste by 2020. * Recycling 75 % of urban waste until 2025. Another conclusion in the progress report had to do with water quality and integrated water management. What is being done in this sector? When will the plant already built become operational and when will the other two currently under construction be completed? Ministry of Environment, as a central institution is responsible for policies on management of water resources and the creation of a national legal framework. What is already done in the field of water has to do with the adoption of the law on water resource management, which is fully aligned with the EU basic directive for waters and international standards. A series of bylaws related to law enforcement have been developed for its implementation. Regarding the management and policy development in this area, the Ministry in collaboration with the World Bank, the French Government is working for development of management plans for the Rivers of Drin, Vjosë and Seman. Also, as part of this assistance, the Ministry has started the process of contracting consultants to develop the National Strategy for Water Resources and National Cadastre of Water Resources. These are two very important documents on the basis of which measures and future activities will be programmed in this field. As to the issue of water quality and water treatment, the Ministry of Environment is responsible for monitoring the quality and this is reported annually through the annual report on environmental situation published by the NEA. Drinking water supply, wastewater treatment, as well as planning and investments in this area are responsibility of the Ministry of Transport and Infrastructure and the Ministry of Urban Development and Tourism. Albania, as co-sponsor of the UN resolution, as well as last goals of the EC declarations for European countries in relation to drinking water, to make "Access to Drinking Water, Safe, and Sanitation, a human right", is committed to demonstrate, by word and deed, that a small country can respond to emerging global issues and do what belongs to guarantee equality for all its citizens with regard to human rights about drinking water and sanitation. The figures show that the population served with drinking water in 2010 amounted to 2.65 million, or expressed in% drinking water coverage is 90.7% in urban areas and 57.0% in rural areas. Sanitation coverage is about 83.0% in urban areas and 10.9% in rural areas. Referring to the Sectoral National Strategy for Water Supply and Sanitation, 2011-2017, it is many years now that work is being done to increase coverage with drinking water supply and sanitation especially in areas that are urbanized and have high population density, where used waters discharged untreated pose potential risk to the natural environment and public health. Also, achievement of progress towards the harmonization of domestic legislation with EU Directives on Water by proposing specific legislation in Parliament is one of the goals of the strategy. On the other hand, the best management of this sector by drinking water and sanitation service providers is a priority in the entire country to reach a water supply service hygienically clean and continued for 24 hours. This sector is funded by a number of programs and projects funded by foreign donors like EC, World Bank and KfW, which are either in the planning or completion process or already completed and targeting different areas as beneficiary like Korça, Pogradeci, Vlora, Durrës, Lushnje, Berat, Kuçova, Kamza, etc. KfW and the German Cooperation is a key strategic partner for research and investment in the field of drinking water and treatment of used wastewater through several-years dedicated special programs for municipal infrastructure and improvement of performance of this sector by providing technical assistance to service providers and monitoring institutions. There is still much work to do in this priority and vital sector, as the water itself is, considering the terms of the fulfilment of the Sectoral National Strategy for Water Supply and Sanitation in 2017. Despite the fact that the central government has an essential role in achieving the objectives, the local government has also an important role as responsible body for providing public services to citizens by making them part of the program as beneficiaries of their projects and make them aware to pay for the service provided. This sector, as many other public service sectors, is still "suffering” from refusal of water consumers to pay the fees for the water they use, as well as from waste of water, making it impossible for companies to recover the costs. The state is consistently subsidizing companies with taxpayers’ money in order for them to survive. The role of local government in undertaking of a number of concrete initiatives at local level, including civic education also to increase payments and reduce the abuse of water should be key to self-sustaining of enterprises in this sector.